Through innovative digital methods, Mr. Rakatansky seeks to merge the often-divergent analytical systems of discovery employed by the fields of architecture, art history, and preservation. Archival evidence, ranging from original and secondary drawings to documentary etchings and photographs to building records and cultural accounts, is brought together to facilitate the restoration of complex architectural and art historical artifacts with a profound depth of historical perspective. 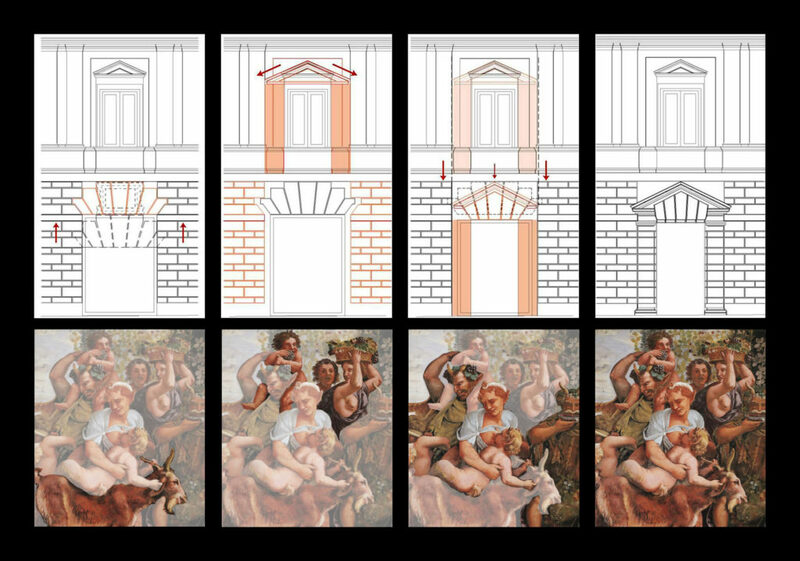 At Giulio Romano’s Palazzo Stati Maccarani (1522-1524) in Rome, Italy, Mr. Rakatansky is unlocking a new fundamental understanding of the larger Romano oeuvre, demonstrating links between the built environment and fine and decorative artworks by the Italian architect and artist. Mr. Rakatansky’s visualizaition model and application has the potential to open the door to a rich understanding of complex sites from across history. More about Mark Rakatansky’s work.